We are proud to provide the most unparalleled forklift service in the industry from our professionally trained technical team. 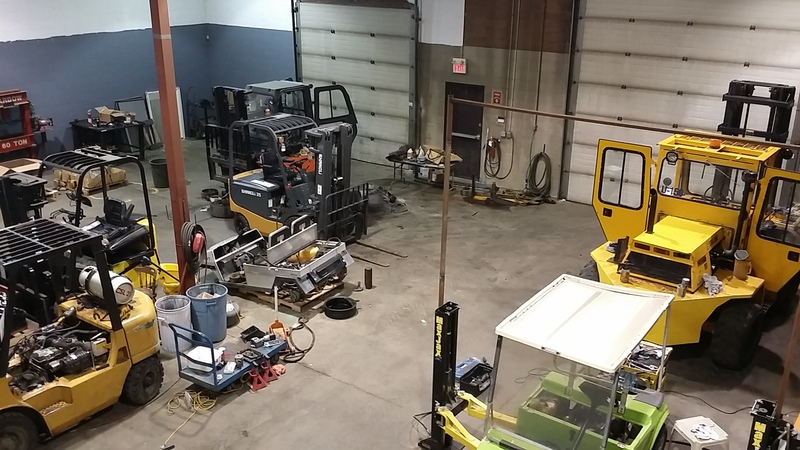 Our team can service all makes and models of forklifts and will resolve any issues at our fully equipped shop or they can repair your forklift at your place of business. Many replacement parts are in stock, and available immediately. Rare parts are ordered in a timely fashion from one of our extensive part supplier partners. 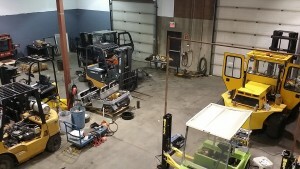 We understand the critical nature of the industry and strive to have your forklift back in tip-top shape with minimal downtime. We understand downtime costs you and your business money. Neglecting proper forklift maintenance can reduce the life of the forklift and require you to purchase another forklift prematurely. 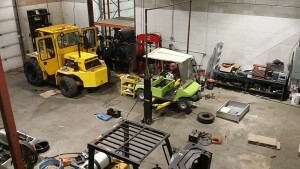 You can avoid most of your forklift’s issues with a proper maintenance program. Regular service intervals should be followed and we have several programs available to fit your time and your budget. Please call to discuss and we will be happy to discuss the best options. Utility vehicles and golf carts require normal maintenance just like any other motor vehicle. 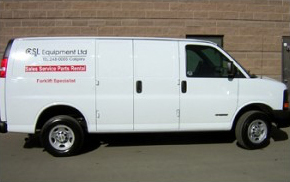 We offer preventative maintenance packages depending on the type of service required. For repairs requiring immediate attention, our fully trained mechanics and parts department will ensure your vehicle is back up and running as soon as possible. Please call us to schedule an appointment. Do you require an Emergency Service? Our highly trained mechanics are on call 24 hours a day at our regular rates! Please call us to find out more about this service. CSL Equipment. Material Handling Specialists. Copyright © 2017 CSL Equipment. All rights reserved.